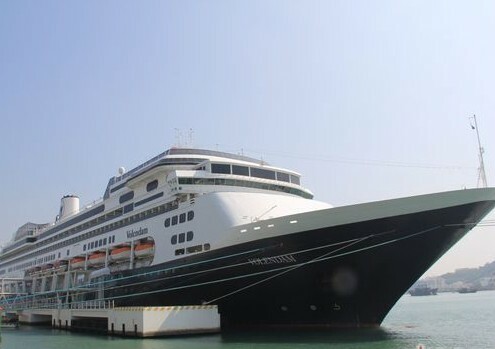 ‘Volendam’, a luxury cruise ship of Holland America Cruise Line (HAL), carrying more than 2,000 passengers from France, UK, US, Australia, Malaysia and other countries and regions, berthed at the Sanya Phoenix International Cruise Terminal at 9:30am on Monday. With a total tonnage of 60,000 tons, the cruise ship is operated on the Vietnam-Sanya-Vietnam route, of which passengers are mainly tourist groups from 26 visa-free countries. On that day, passengers took time to visit some tourist attractions in Sanya including Nanshan Tourism Cultural Zone, Luhuitou Park and Dadonghai Scenic Spot. It is the first time that a cruise ship of Holland America Line has visited Sanya this year.